Yep, it even includes Gone With the Wind. A scene from Gone With the Wind. GONE WITH THE Wind. Night of the Hunter. Casablanca. Three very different movies, with one thing in common: they fell foul of Ireland’s film censor. While Gone With the Wind had sections cut out of it, Night of the Hunter and Casablanca found themselves banned. Now that the Irish Film Censor has changed its mind about these films, we can see them in all their glory – and next weekend the town of Clonakilty in Co Cork will play host to a Banned Film Festival at the Park Cinema in association with Clonakilty Film Club. The three-screen cinema will host a range of censored and banned films from Sunday 9 February until Thursday 13 February. Sheila Mullins of the Clonakilty Film Club explained that the club – which typically shows films that aren’t usually shown in cinemas – were chatting about potential ideas for a festival when they hit on the idea of banned films. Using the comprehensive book Irish Film Censorship by Kevin Rockett as a guide, they chose a range of films that through their banning or censoring give an insight into Ireland’s changing society. 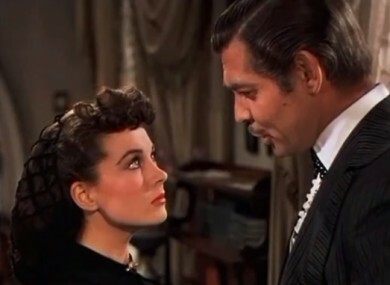 There were 13 cuts made to Gone With the Wind, for example, with the kissing between Rhett and Scarlet, a scene showing a female character throwing herself down the stairs, and a childbirth scene all being cut. Casablanca, meanwhile, was banned during WWII due to wartime restrictions, and afterwards suffered cuts due to an ‘adulterous’ relationship being depicted. Quentin Tarantino’s Natural Born Killers was banned due to fears about “imitation behaviour”, while the frightening Night of the Hunter – on which Cape Fear was based – was also banned. Even Charlie Chaplin’s the Great Dictator found itself banned due to fears that the audience would fight over political allegiances. All of the above films feature in the festival. “Politics played a huge role,” said Mullins of the censorship. There will be a talk before each showing, and tickets can be bought at the Park Cinema box office , with a special festival ticket available which gives access to all nine films for €20. Email “Meet the festival that celebrates the films Ireland banned”. Feedback on “Meet the festival that celebrates the films Ireland banned”.